A really nice calligraphic style font I stumbled upon ‘Aphrodite Slim’ on a Marks & Spencer food promotion for Christmas 2011. 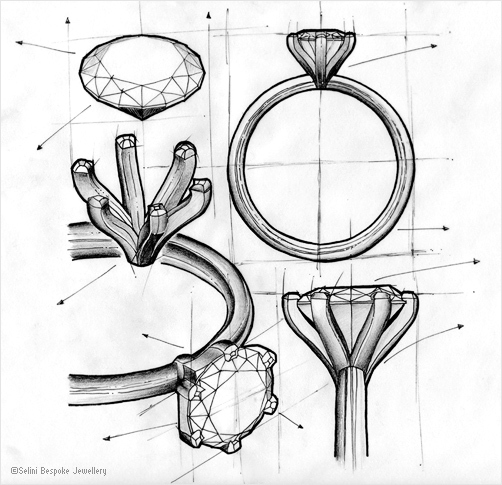 We have produced a series of ‘concept sketch style’ illustrations for Selini Bespoke Jewellery for their ongoing jewel creations. 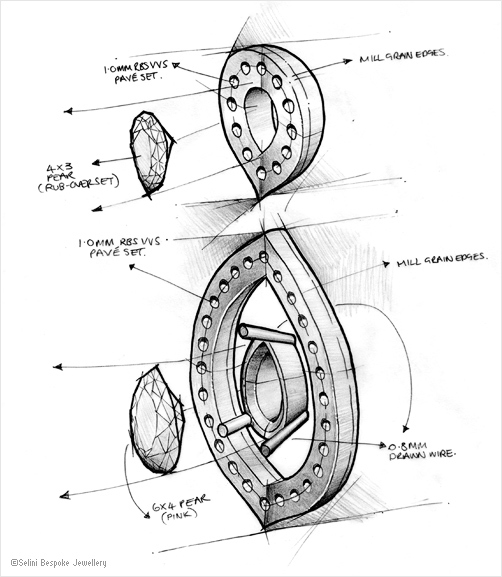 Working with existing design sketches by jewellery designer Rob Girling we wanted to enhance these original concepts and use them as a theme throughout their marketing. It’s been nice to dust off the old markers and pencils from my uni days and get stuck in! 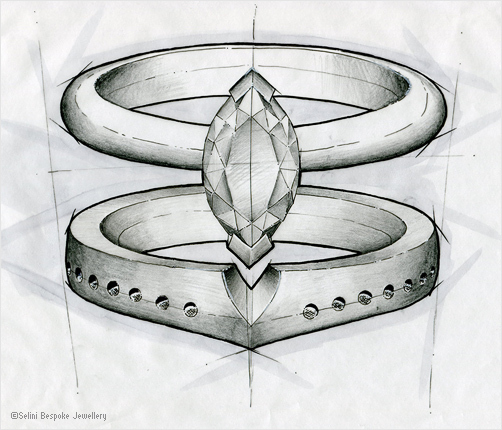 We recently finished a brand reposition, the ‘Selini Crest’ for our client Selini Bespoke Jewellery. This identity was quite complex and took a lot of testing and experimentation to perfect. Overall this project is a great case study to post on our blog and will give you a glimpse into the amount of work that goes into this type of project. Over the coming months I’ll go through the various processes and challenges we faced in creating this new brand.